With a mop of thick hair like mine, you can appreciate the time I have to take styling/looking after it. I am one for this 'heatless hair' thang, and blow drying isn't my favourite thing to do. But I realised after waking up with a bushy head of hair, because it hasn't dried fully, I needed something different. When I went to the Graduate Fashion Week, I got a goody bag from Company Magazine, and one of the goodies was this. Besides the typical harirspray aroma, this could be staple item potential. I tend to spray it 4-5 to each side of the head liberally, I thought it was compressed at first to be a continuous spray, but it is more like a spray-bottle situation. Basically, the spray is designed to reduce the time it takes to dry your hair, detangle, and also heat protect for blow drying (up to 220'C to be precise). Everything I need fresh out of the shower. Some people have had claims this has damaged their hair? Not mine, I am loving it. If you have thinner hair, then it may not be worth the £6.19 for a 200ml bottle, but if it is any thing like mine, run, run to the shops now, and grab it. I think it dries my hair quicker, and I am very enticed into buying another when it runs out. I must admit, the huge barcode right on the front is a little... off putting, shall we say? But that aside, this will be sprayed a lot. It is easy to get stuck into a simple hair care routine, but when you sit down and think about it, it is nice to try out new things, and more times than not, you will find something you like. A few months ago, I strolled into Superdrug with confidence. It was Megan's birthday shopping trip, and there was a 3 for 2 offer on. I had never been more certain of what I was going to be buying. 'Maybelline The Rocket', I told myself. As the queue was so long, and we wanted to make our money go further by purchasing things in price categories, Megan's mum was very kind and went to pay for the first lot with out money. The woman at the till asked if we wanted the mascara to be swapped with a new offering from Rimmel, and Megan's mum kindly refused. Somehow, the woman managed to sneakily change it, and I ended up with the mascara I didn't want - but have now grown to love (I just wish it was waterproof). The packaging is very stand-out. Bright green with black detail and writing. It is quite chunky, but I kinda like that sort of thang. The first few days I got this, it was a very 'wet' mascara, and came across a little gloopy, but after a weeks worth of useage it dried out more. I find bristle brushes dry out a lot quicker than any wtih plastic, from what I have experienced before, so I am trying to finish this off before it is at its un-useable stage. Rimmel designed this mascara to be layered with as many coats as you desire, and they should still be clump-free and flexible, which I agree to entirely. I have some before and after shots, so you get the idea of what the mascara does. It is volumising and thickening, yet lengthening and not clumpy in the slightest. With the chunky wand, it is a little more time consuming with the bottom lashes, and as it isn't waterproof, it has faded/worn by the end of the day, so that is a little down side. 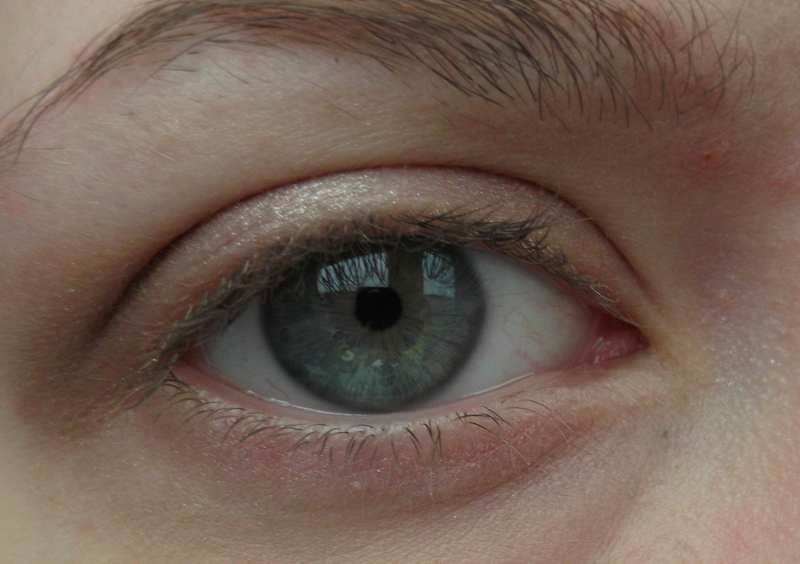 Before Mascara: Droopy, Light and not-so-interesting lashes. After Mascara: Bam, instant difference, Thick, Volumnious, curled Lashes. This picture only does half the justice it should. I wish you could all come and look at my lashes to see the real effect! 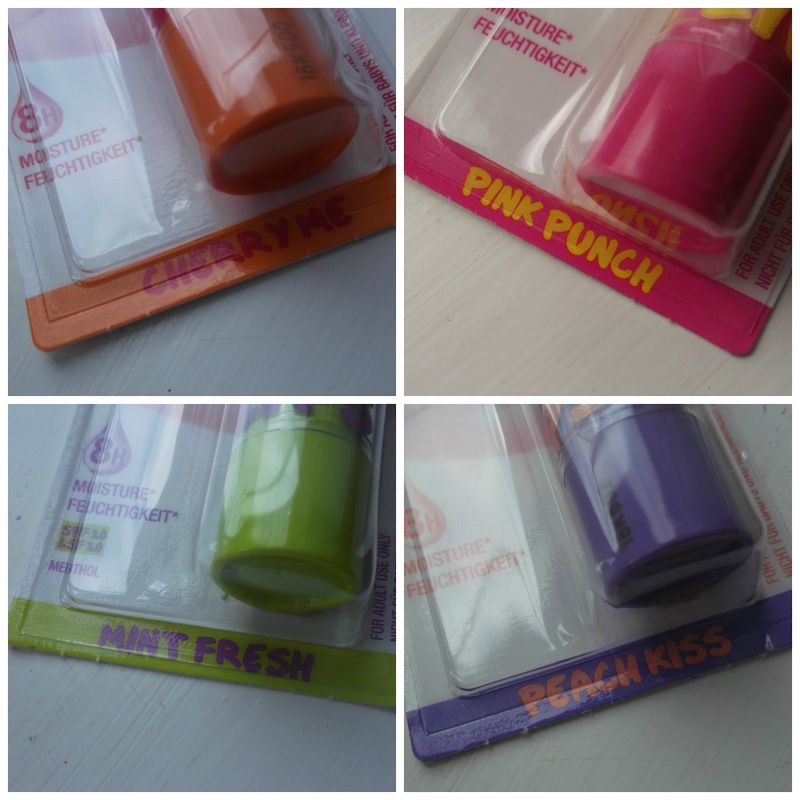 After this mascara drama, it taught me to be a little less fussy on the makeup I buy. Although I had heard bad things about the previous Scandal Eyes mascaras, I shouldn't have passed-by this one straight away, Rimmel, I just really wish you would make a waterproof version... I would repurchase this if that was the case! Overall though, a great (mis-judged) mascara. 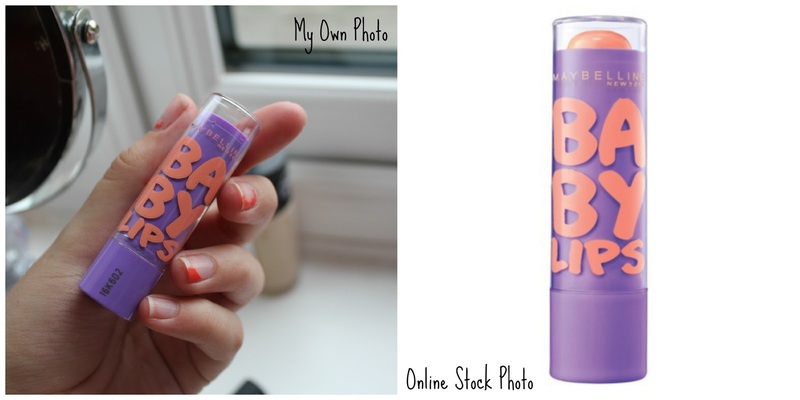 When it comes to blogging, it's safe to say that most of us with adore taking the photographs more than anything else. I am not a professional nor a photography student, just a self-taught obsessor. Cringing at the long gone days where I would use a 4 Megapixel phone camera to snap the polishes I had been loving, I soon realised photos speak 1000 words, and do products more justice than my ramblings. I moved onto using an old AA Battery camera, which got very annoying and cost a lot of battieries, and it wasn't great at focusing either. My dad wanted to sell that, so it was time for me to buy my very first own camera. I skipped on over to Currys or Comet (I'm unsure), and snapped up (see what I did there, aye?... not funny Lauren. Haha) a FujiFilm one which I still use now for some pictures, and does wonders in natural light - AKA my windowsill, but struggles anywhere else. 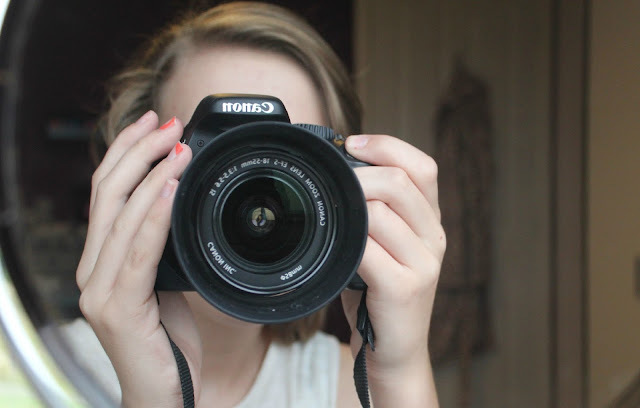 Nowadays it's a mix between that and my dads fancy Canon 550D DSLR Camera (used for this post), which I adore and hope one day I can get one of my own. I must say, this post was slightly inspired by Zoe's from Zoella. You want to steer clear from having any kinds of clutter in the background. We are all guilty of it, but it really takes away the focus point for the product, causing all kinds of distractions. If you have a nice candle burning in the background, of the packaging from a product etc. in the back, its pretty acceptable, and we can excuse than from being branded as 'clutter'. I never really edit pictures in this way for my blog unless it is for an 'About Me' page or a tag post, lifestyle post etc. 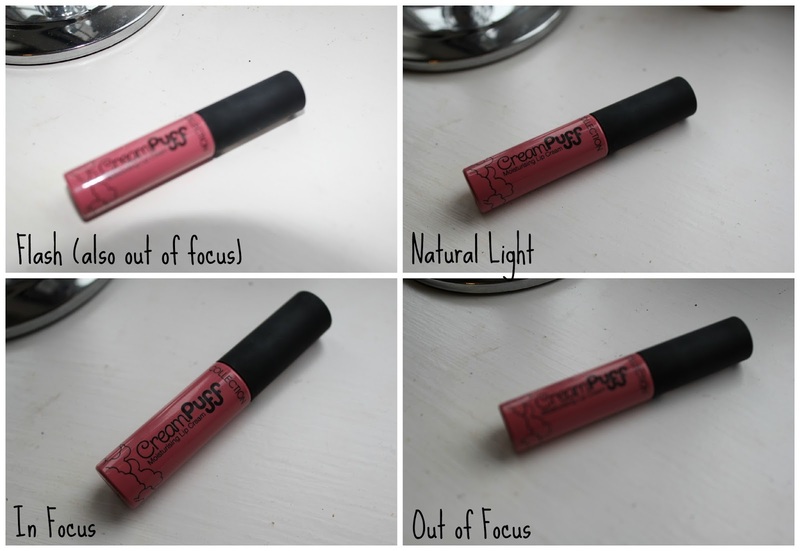 It does have a really nice effect, but I feel like if you were to look at a review and the images were all edited of the product and swatches, it wouldn't be very true to life at all, and your readers wouldn't be able to see much at all about the product. Using flash can be risky. If used in the correct way, you can brighten up your pictures and sometimes show a burst of colour, I won't tell you how to do this, just experiment in different lighting etc. 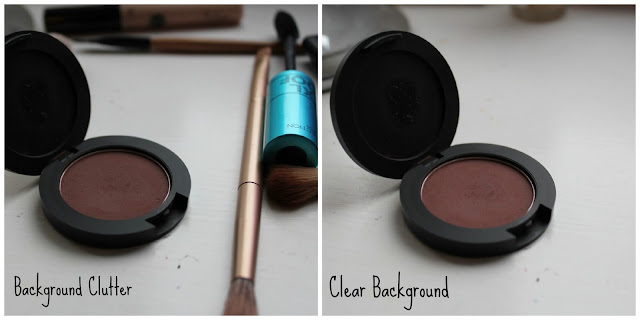 Secondly, since blogging for quite a while, I now cannot stand photos out of focus, even the slightest amount. No-one likes to see an image without even being able to see what the packaging looks like... its a pet hate of mine. One tip I would give to anyone, is not to use stock photos, unless you have been told by a company, or you are using them to make a wishlist type post. It is much more interesting and better looking if you use a photo you have taken, rather than using something you have found online in its white background looking very computer-generated. 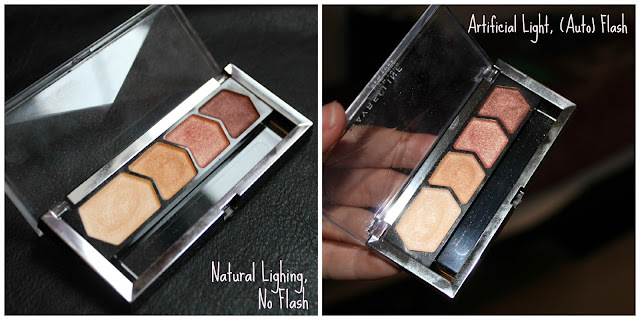 Hands down, I will always take natural lighting over artificial, because most cameras will want to whip out the flash, and with most makeup packaging, the plastic can flashback, and it looks very bad. 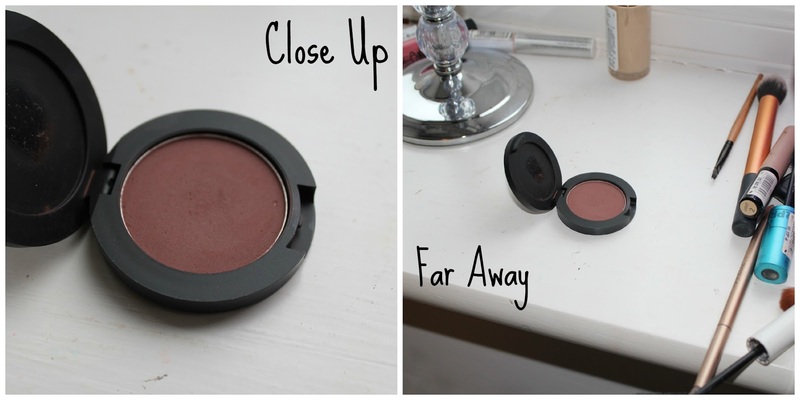 It also picks up any shimmer or fallout in the packaging which you cannot see in the natural light. Always use the natural light when it is available guys! There is a reason we have a macro/'flower' mode on our cameras, and the closer-up, the better! Taking a picture from far away also means you have clutter and the focus point has been stolen by some random gathering in the background. Close up, you can really see textures, and colours well too. Just make sure if you are going for a close up - it needs to be in focus. So, that was it! My mini guide to blogging photography. I love taking photos, and I am hoping this will have helped some of you to be more adventerous with your photos! It really is all about experimenting. As I said, I am not a professional or a photography student, I am just self-taught, and am currently taking part in a mini 10 week photography course until I start my chosen GSCE options, basically just learning some extra camera and photoshop skills. So, the back to school date is lingering, for some earlier than others (mine is Monday...You heard me, Monday! ), and so I thought it would be a good idea to give you a post on some of my essentials for that perfect back to school skin, on the face and the body. I will also be doing a back to school locker/bag essentials post at some point too - so let me know if that is something you would like to see. 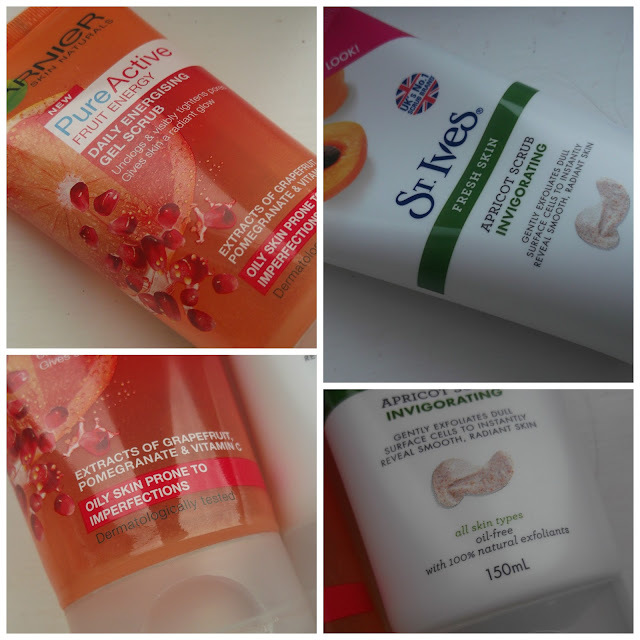 So, I am not one for body lotions and I must admit these aren't my favourites. I don't suffer from any kind of dry skin, but if your body turns into prune mode the minute the climate changes, these will be for you. Designed to intensively restore the moisture in your skin, these will be great for the drier days. 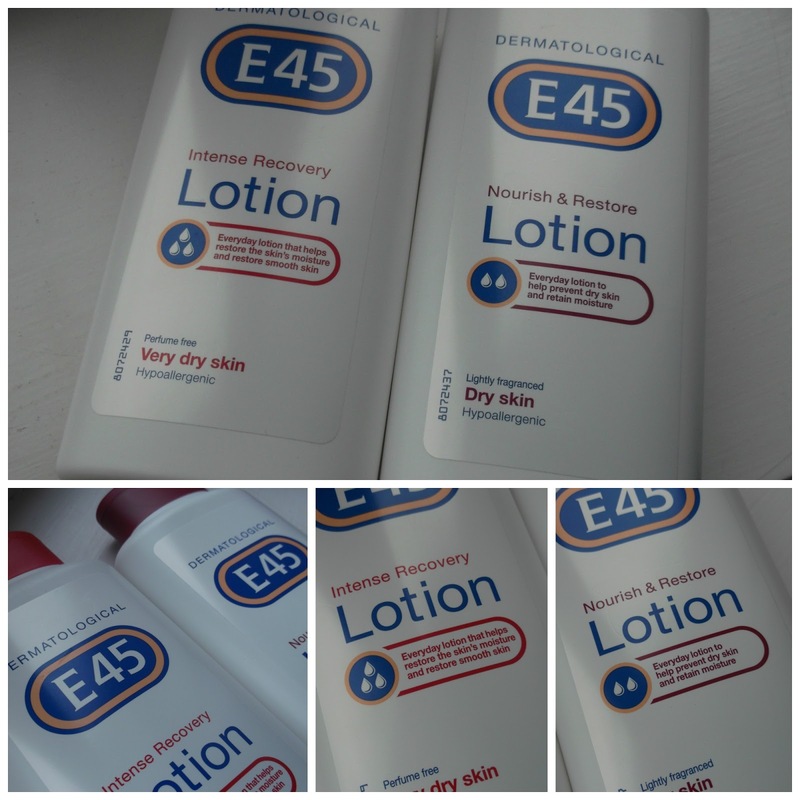 These are for dry and very dry skin types from E45, and although in this weather, I feel a little sticky with them on, I can imagine that in the winter I will grow to like these a little more. No matter how oily your skin is, or even how dry your skin is, it is essential to use a moisturiser. I have combination skin, and I find these work well for me, and I will try to guide the dry/normal skinned viewers out there as to what might work for you as much as I can. Simple Light Moisturiser: This is a daily staple in every skincare collection. This is such a simple product (ooer, didn't even mean that one! ), but is great for many skin types. I think this will suit from oily-normal skin, and then if you have a dry skin, it is worth looking at this moisturiser in the rich formula. It's a little going a long way with this one, but if you were to squeeze out too much, then no worries! This will still soak in, without a greasy feeling at all. 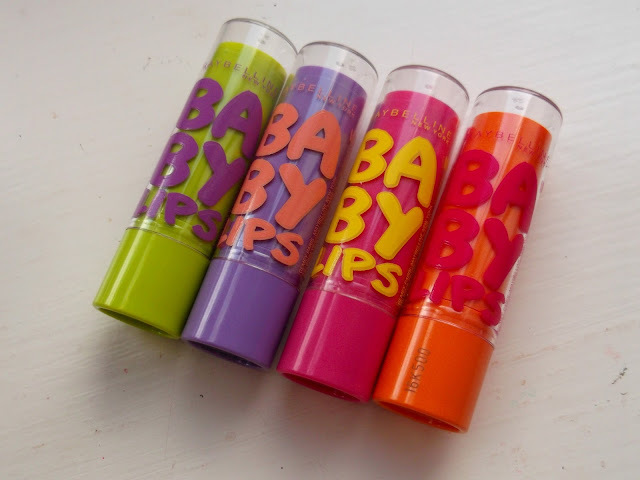 This is a product I will repurchase for a long time! Nivea Regenerating Night Cream: This is also one I love. I put this on at night, not every night, but maybe 3 nights a week, when my skin needs that little bit more moisture, and a good pick-me-up. Thick in texture, but fast absorbing, this is a moisturiser I recommend for pretty much all skin types. I even find that if I haven't used this for a while and I use it one night, I will wake up to a much better complexion, and I feel like it soothes redness, and even a few blemishes fade! LANCÔME Hydra Zen 'Neurocalm' Soothing Anti Stress Moisturiser: It has a big name, and a big price tag. Luckily I didn't buy this, as my mum got it in a goody bag and kindly gave it to me, but I am more than tempted to get a full size, although I don't think that will be happening any time soon. This is a lovely product, similar to the simple moisturiser, just a little more hydrating and that bit more soothing when you apply it. I find this to really calm the skin, and I love it! It was a little risky putting this one on here, as it is a little too pricey for a student, but some of you may be interested anyway! I cannot stress enough how important it is to cleanse your face. No matter how much of a rush I am to get ready morning and night, I will always make sure to go through my skincare routine. The two I have picked are designed to target blemishes and imperfections, or enhance the skin, as I am not sure about you, but when I am under stress and panicking about sorting everything out for school, I get some pretty nasty breakouts, and I want to prevent them as much as possible, or my skin will lose the glow I want for the back to school season. Garnier Pure Active Fruit Energy - Daily Energising Gel Scrub: This doesn't do anything special on the scrub side of things, the little beads are ever so small, I find them to refresh and add radiance to the skin rather than exfoliate. But as a daily wash, I am obsessed with this, and a repurchase will probably be coming my way. Firstly, it smells incredible, infused with grapefruit, pomegranate and Vitamin C, this really wakes me up in the morning, but isn't too uplifting to use a night. I love this so much. It has helped my skin a bit, but nothing too much that I can rave about really. St. Ives Fresh Skin Invigorating Apricot Scrub: Instead of getting the blemish fighting version of this scrub, I chose the Fresh Skin one, which is designed to revitalize dull skin, and give you a radiant complexion. Boy is this exfoliating, andf I would advise using this 3-4 times a week, as using an abrasive scrub daily will do more harm than good to the skin. This one also smells delicious, like apricot, you guessed it. 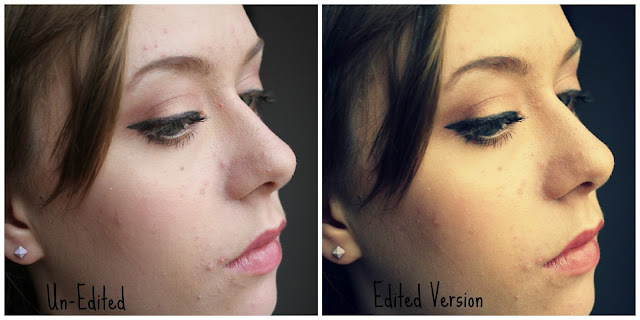 I love this, as not only does it banish my dull skin, it also gets rid of those pesky blackheads. Last but not least, it is always good to have a more intensive treatment for those stubborn blemishes you may encounter. 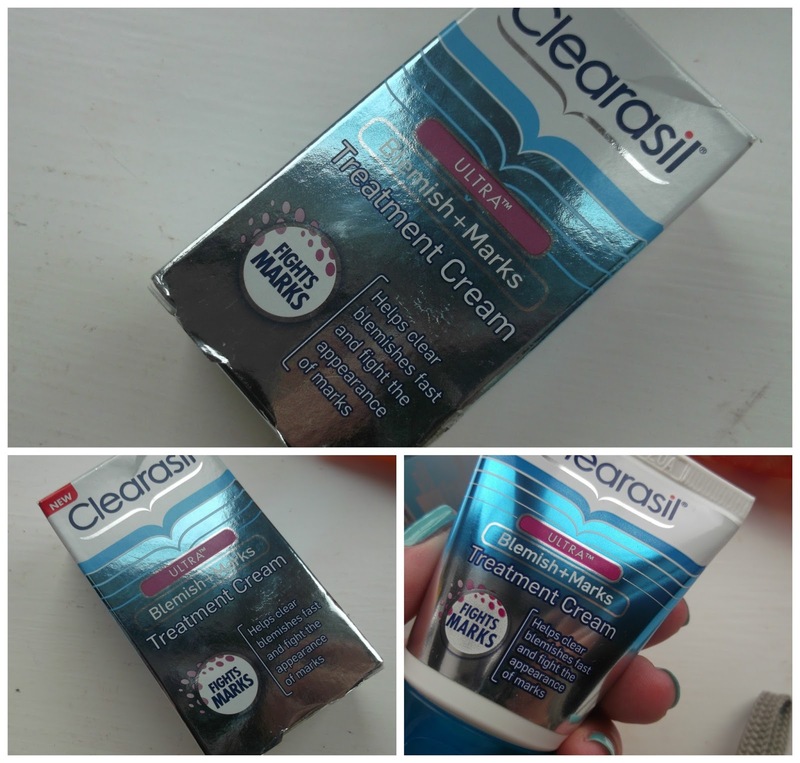 This is the Clearasil Ultra Blemish and Marks Treatment Cream, which when I first got sent, I absent mindedly shoved it to the back of my skincare basket, and then I began to use it more and more, and loved it more and more. I have trouble with blemishes, and then branching on from that, scarring and hyperpigmentation, so if I get a blemish, I will pop this on a night time, and by the morning it will have slightly faded, not only that, but when the blemish says goodbye to me, I won't be left with an annoying scar, so it's one less thing to cover. I wouldn't say this really helps with the scars I already have, but preventing them is where this badboy comes in. 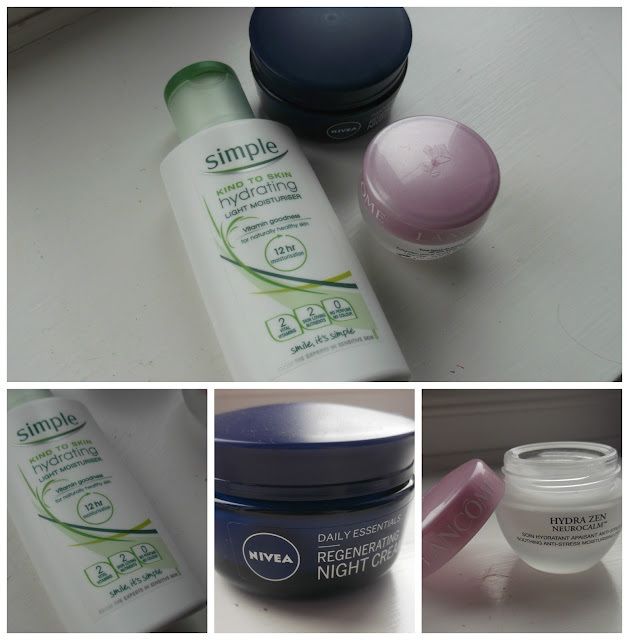 So, that was a very long post of all my back to school skincare and body essentials. I hope you enjoyed this post, and let me know in the comments what your essentials are! Make sure you go ahead and click the link to leave that comment for Megan, and follow too - She would like that a lot!